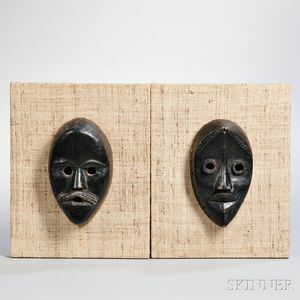 Two Dan Carved Wood Masks, Liberia, Poro Society, both with blackened patina, mounted on cloth-covered panels, ht. 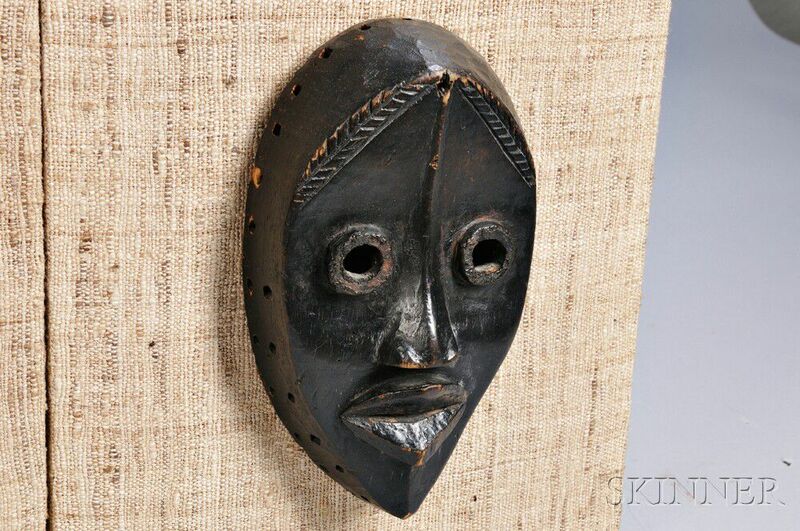 8 1/2 in. 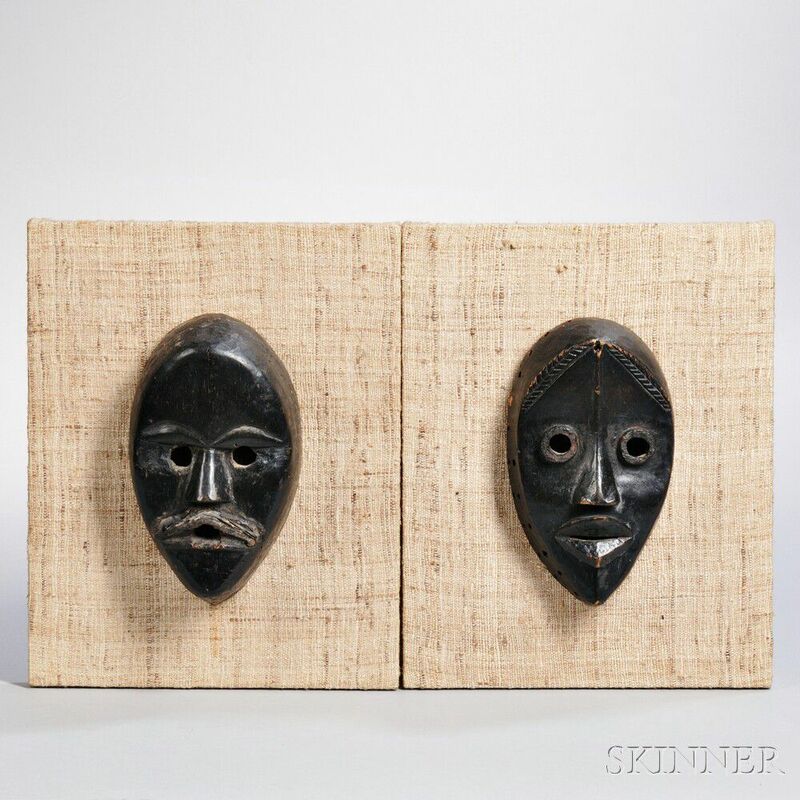 Provenance: Ladislas Segy Gallery; Skinner, Lot 57, November 12, 1988.